Do you love Pugs? Enjoy being around other like-minded people who love Pugs? Want to learn more about Pugs? 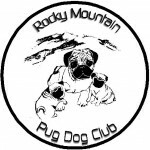 Get connected and involved in a Pug Club near you! Scroll down to find one near you. Great Lakes Pug Club, Inc.
10N 956 S. Maple St.
Central Indiana Pug Club, Inc.
Pug Dog Club of Maryland, Inc. Mid Michigan Pug Club, Inc. The Pug Dog Club of America does not warrant or guarantee any services provided ​by its members. Are you an authorized representative of a PDCA Chapter Club? Club Name - State - Contact Name - Contact Title - Contact Email - Contact Phone - Club Website.